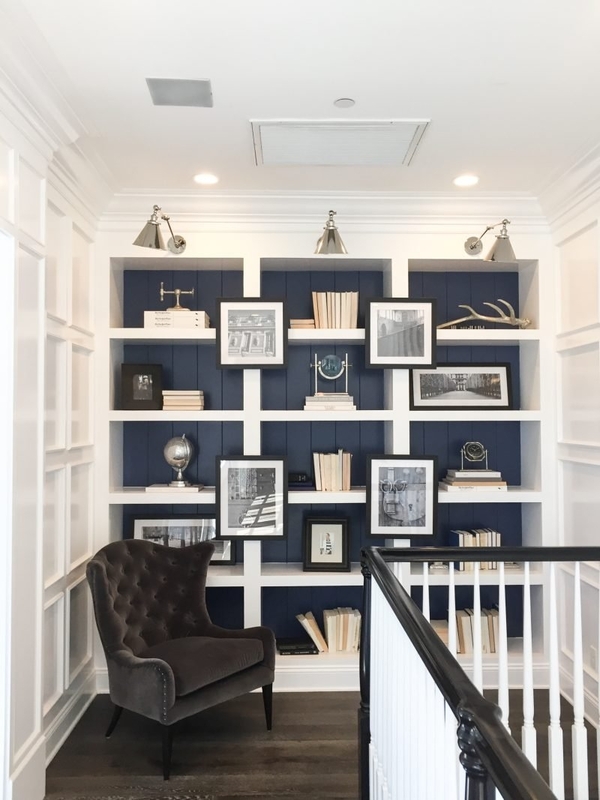 The second story bridge hallway of the Plan Three at The Oaks Farms by Davidson Communities. The final addition of the details, accessories and accoutrements is the stage of the design process where the inspiration is fully realized. Carefully selected furniture arrives, art and accessories are placed, and the dream is manifested. In striving for perfection we consider a room finished only when there is nothing left to add. It’s been said that the details make the design, and this is undeniable when you see your finished product. Having cultivated a critical eye for detail, we create possibilities through unexpected choices to achieve maximum impact. From unexpected ceiling treatments to a nautical twist created with ropes and paddles, we surprise and delight at every turn. Imagine a home where each room has that one object or feature that gives people something to talk about. We call it, ’The WOW Factor,” and it’s in every room we touch. So raise a glass and let's toast to the details! Around every corner lies a taste of the extraordinary.